LOCAL singer-songwriter Allester Shaun (above) is giving fans a glimpse of what to expect from his upcoming debut EP, Kiss/Kill Me Darling, with the recent release of his 80s-tinged track, Sweet Babycakes. With a tune that oozes nostalgia, the sophomore single Sweet Babycakes is a rather soothing production, propelled by a melodic lead guitar alongside his dreamy voice. Since its release on Jan 25, Sweet Babycakes has already notched over 10,000 streams on Spotify. Not a bad achievement for the fast-rising musician from Kuching. Growing up listening to the likes of Pink Floyd, Led Zeppelin, Megadeth, and Pantera has clearly inspired Allester’s fondness for shredding on the Fender Telecaster American Special. A self-taught guitar player by the age of 13, the 22-year-old who is signed to boutique music label This Way Up Records soon started listing singing to his performances. 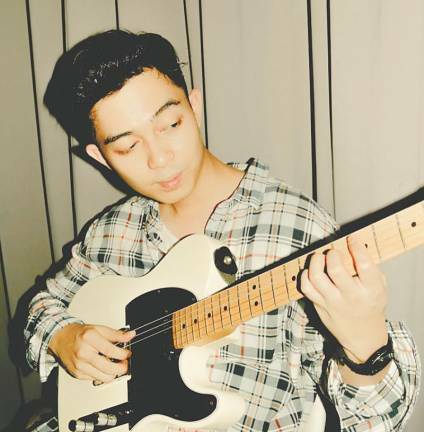 Allester also recently reached the top four of the 2018 Kuala Lumpur Vans Musicians Wanted competition, thanks to his impressive ability for coming up with catchy guitar licks.